NEW MAC Collection! A Novel Romance for Autumn 2014! 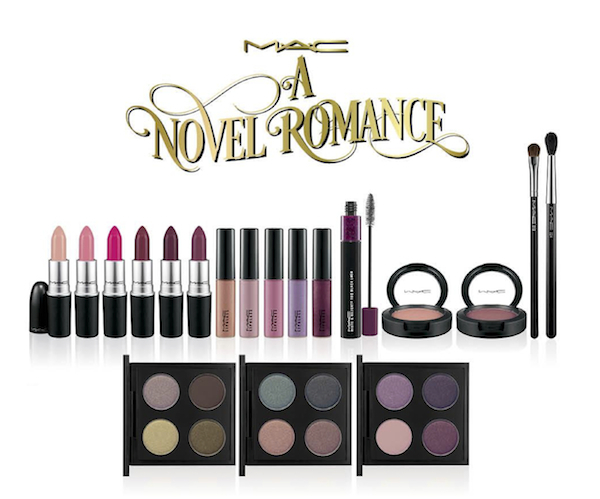 So it would appear that hot on the heels of MAC’s The Simpsons collection, another collection will be arriving this autumn – A Novel Romance! I found these images whilst scouring online and had to share them with you! I love that the promo images are made to look like cheesy romance novels! The colours in the collection look gorgeous too, with lots of muted tones which will be perfect for the changing seasons. This is also a massive collection with a large range of products to choose from, so there should be something for everyone! For someone who loves books this is absolutely perfect, I love it! I saw this the other day. Liking the sound of the red clay lippy!